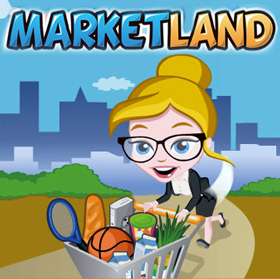 Do you Play Marketland? Join GameHunters.Club our members share free bonus, tips, guides & valid cheats or tricks if found working. Check out the Marketland Bonus page to see the full list. If you need to add friends for gifting or exchanging game-items you can check or join the Marketland Add Me List. GameHunters.Club is a Fan Site and is not endorsed by or affiliated with Marketland. All Trademarks are the property of respective owners. If you love this game, support it by purchasing premium items in the game or follow the official Marketland social media channels. GameHunters.Club is a platform for gamers who loves to share. Join us and be the first to post here about Marketland. There is no registration required. Login with Facebook to start posting. Join the Forum, Discuss anything about Marketland. You can talk about tips, tricks, cheats, ask for help or simply introduce yourself to the club. These are the most recent topics and posts on Marketland Forum. Do you know any of this topics? Help players by posting about this topics on Marketland Game Post section. Hi there Bosses! We investigated the recent neighbor problem and figured that it happened because of the recent changes Facebook did regarding privacy and security. Please do the following carefully to get your neighbors back; 1. Go to Settings > Apps and Websites ... 2. Remove Marketland 3. Then open Marketland again 4. Click ''edit this'' on the permission pop up 5. Make sure to check the ''friends list'' option. Please send us tickets through the ''contact us'' segment on the game if you are still having problems. Hello Bosses! We are aware of the disappearing neighbors problem and we notified the developers to investigate the situation. We are very sorry for the trouble :( In the meantime, could you please try the following two methods? Please take care not to miss a step as every step is extremely crucial for the solution to work.... Solution 1: You need to make sure you gave permission to the game to see your Friends List. In order to do that please follow the instructions below: 1. Go into settings on Facebook 2. Go into Apps and Websites 3. Find and click on Marketland in your apps. (Click Show All if necessary) 4. Make sure Friends are ticked and enabled. 5. Click Save. Solution 2: If you cannot see the Friends part in the 4.step above, please do the following: 1. Go into settings on Facebook 2. Go into Apps and Websites 3. Find and select (click on the little box right next to the game) Marketland in your apps. 4. Click Remove. (Your progress won't be lost) 5. Re-install the app and make sure you enable the game to see your Friends List. Hey there Bosses! Which Lisa is your favorite? The most commented one will be available in the next release! Hi everyone! We, as Gamegos, need players who'd like to experience the new levels of our brand new puzzle-simulation game Manor Cafe before they are released! 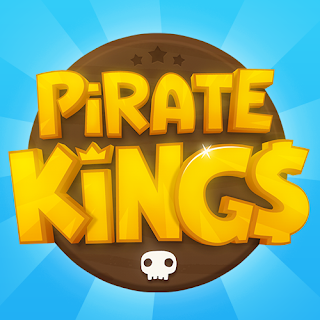 You will get to keep your normal game, and you'll also have a new test APK which features the new levels! You need to have an Android smart phone or tablet, and free time to play the levels every week. If this sounds interesting, please send an e-mail to [email protected] with the title I want to be a tester including your device details, your current active e-mail address and the link to your Facebook profile (our team is going to add you on Facebook later) !